The ACT/SAT tutor will hone in on the specific needs for the individual. The diagnostic report reveals trends such as pacing and themes among certain question types. On the SAT reading section, the student may have the most trouble with command of evidence. For the ACT math section, it might be quadratic equations that need the most attention. Our ACT/SAT tutors will come to students’ homes on weekdays or weekends. 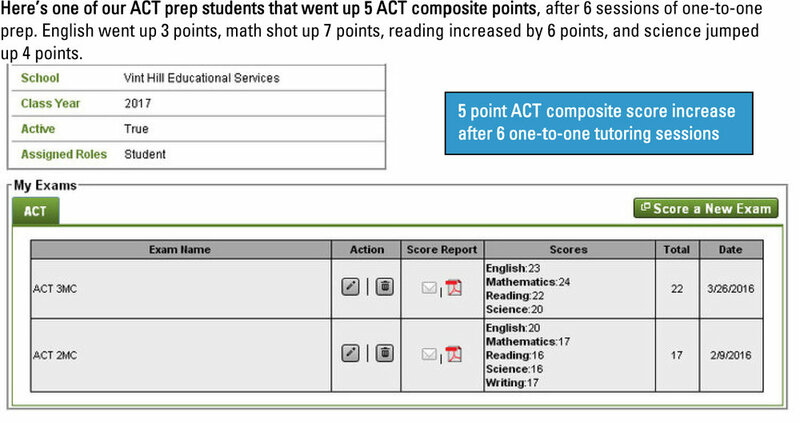 Contact us to get started with your customized ACT/SAT prep program.